Perfect for massive commercial use in all cafes, coffee shops and bars. 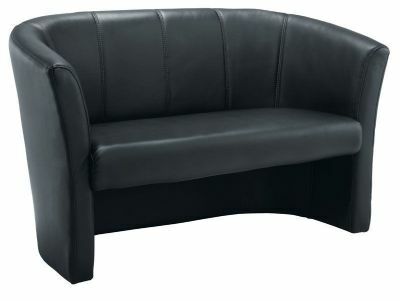 Holds up to 18 stone in weight and finished in in a stylish black faux leather. 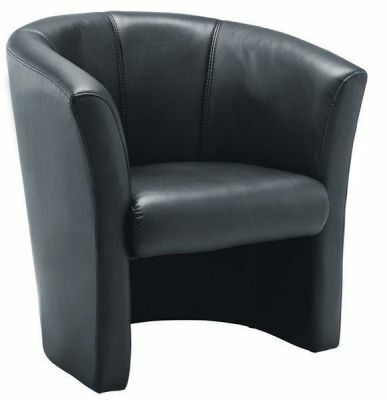 The OFO 201 black faux leather tub chair is in stock and available for immediate delivery. This tub chair is delivered boxed and ready to use. We have sold this tub chair to cafes, bars, hotels and many other business applications throughout the UK and across Europe Its fluted appearance and value for money make it one of our bestselling tub chairs. The heavy duty frame has been tested to 18 stone and there is a five year warranty with this tub chair. Please check the other sections of the web site for other fantastic tub chairs of all descriptions.